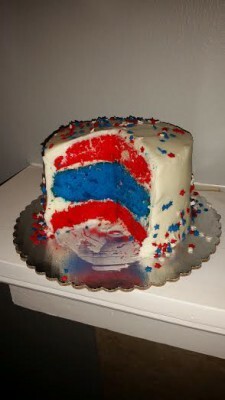 Last night my son and I make this cake. It didn’t turn out exactly how we wanted it to but, it sure was delicious even if it was 11pm lol. First and foremost I apologize for the horrible lighting in my pictures. 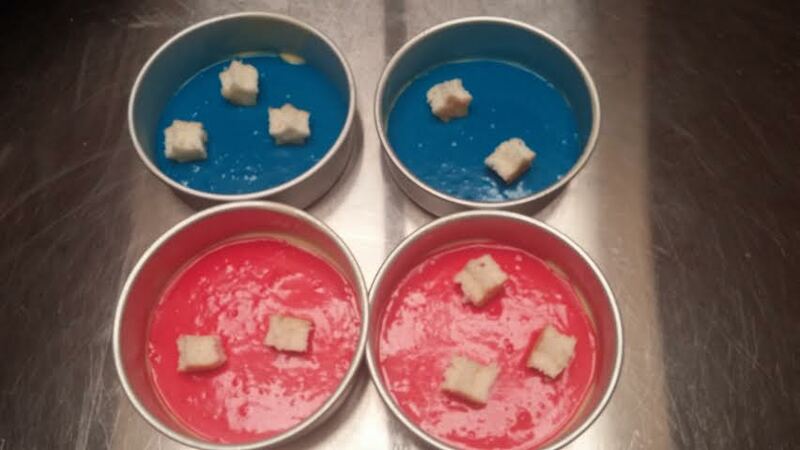 You can make too for this weekend! We started off with a regular cake box…yes I said cake box. 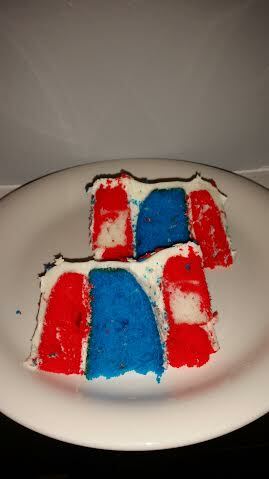 I used the White cake mix. This will help maintain my colors when baked. We used 5 different pans. I suggest you only use 2-6″ and another for the white. 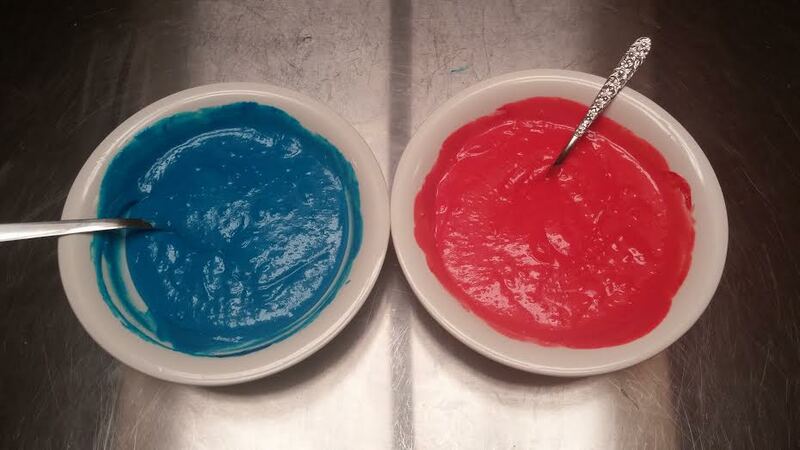 We separated about 1/2 C. of batter and baked a thin layer to use for our stars inside. 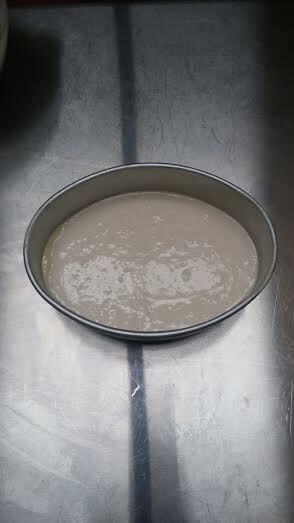 This has to be baked first. 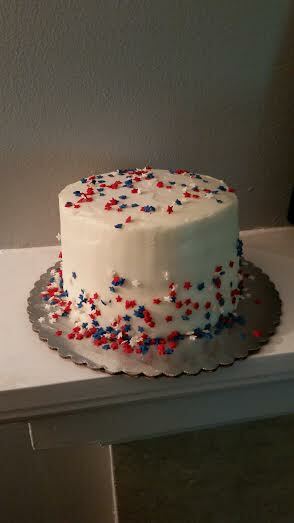 Once baked, we allowed it to chill and even put it in the freezer for a short period of time to be able to cut the little stars out. 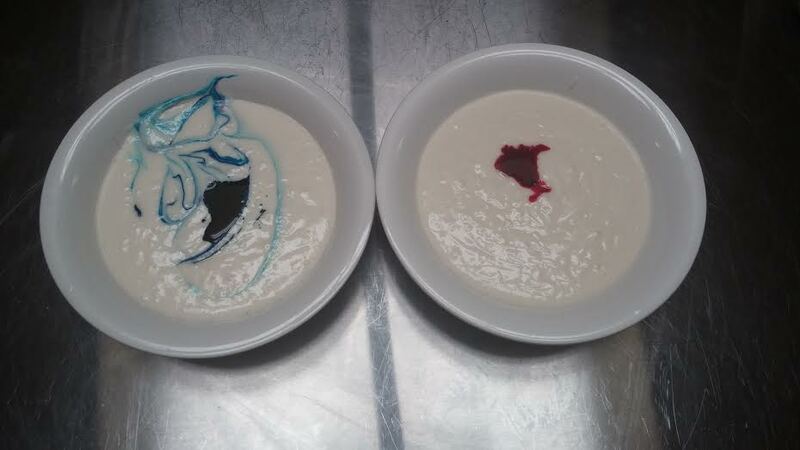 The rest of the batter was divided into 2 bowls and dyed them blue and red. 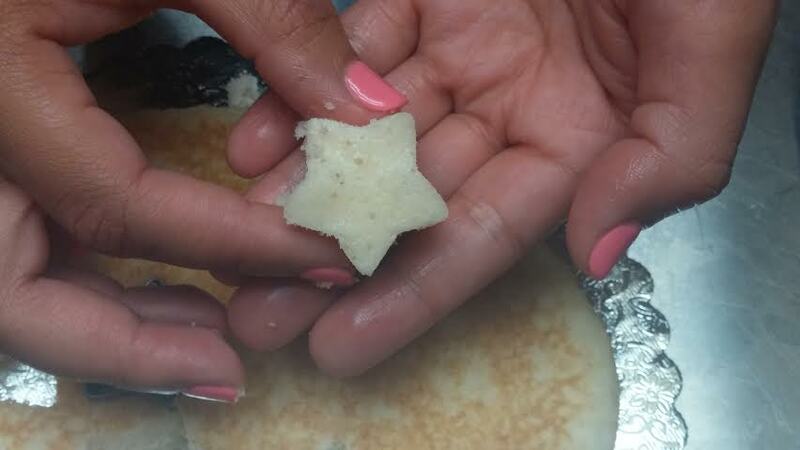 Add a little bit of batter at the bottom of your pan to hold your little stars up. 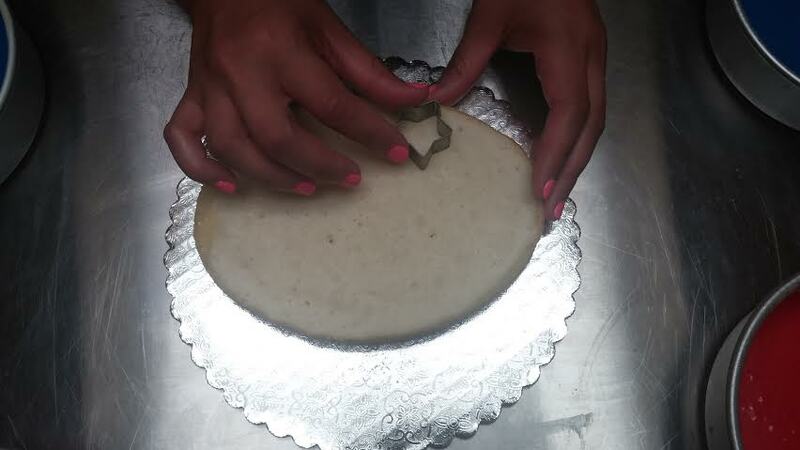 Use the rest of the batter to cover the stars and bake. I wasn’t too sure where to cut to find my stars. I found 2! Let me know if you make it or if you try different cookie cutters. For more tutorials check out our YouTube Channel.